Red is my favorite color and so you can imagine how excited I get during the holidays when I can go crazy with it. 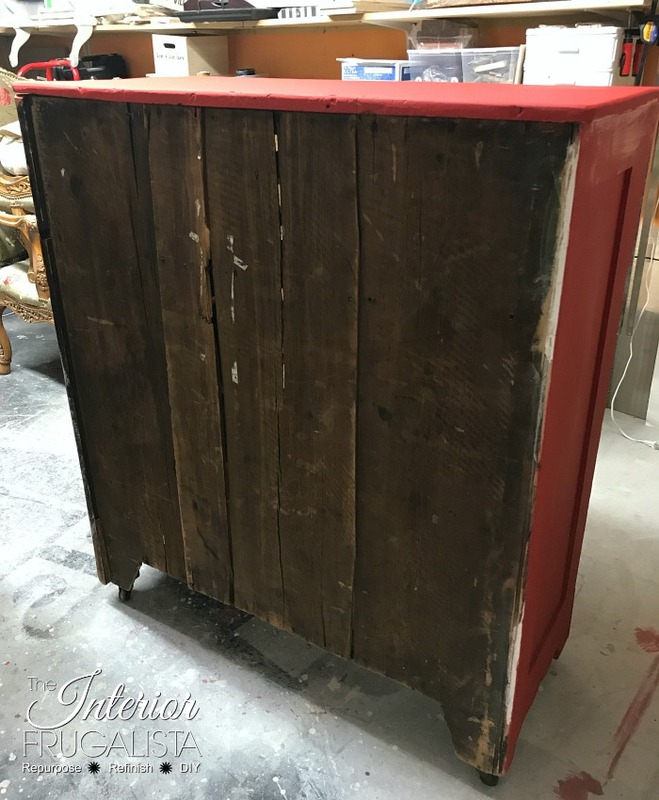 When the Furniture Fixer Upper challenge came up mid holiday decorating, well all I saw was red...in a good way. 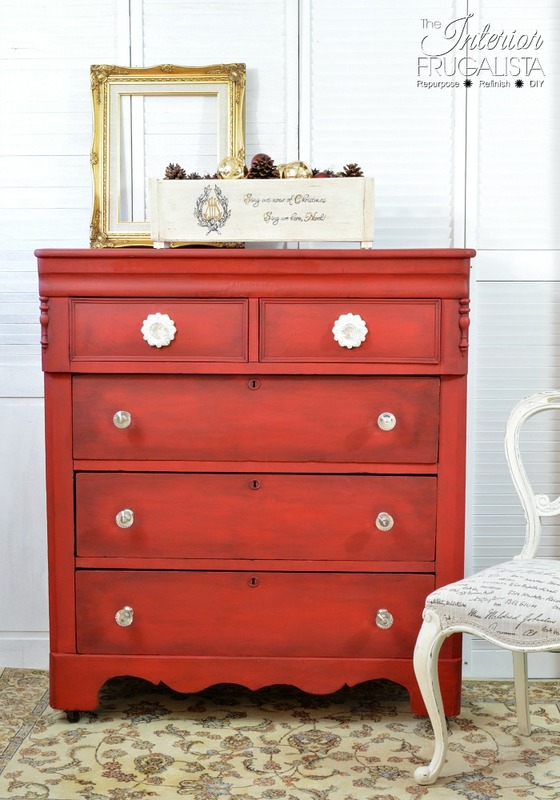 Meet Holly, she's a beautiful red holiday inspired empire dresser that I grew quite fond of during her makeover. So much so that I decided to keep her. She showed up on our doorstep looking like she was on her last leg but all I could see was her beautiful craftsmanship. She deserved someone breathing new life into her and I was happy to take on the challenge. 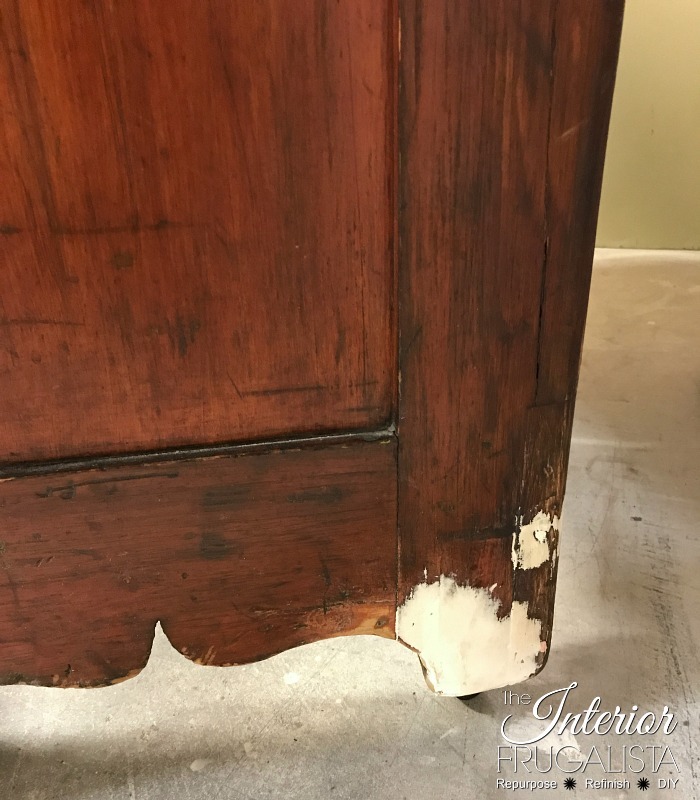 You can see in the photo above that there are missing wooden knobs, a keyhole escutcheon, and veneer but that's not all the damage. 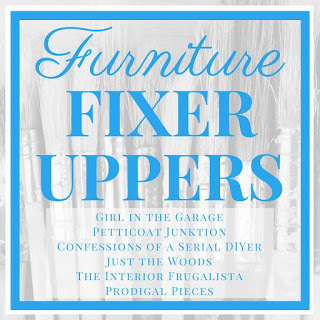 Like I mentioned earlier, it's Furniture Fixer Upper Day where myself and five talented furniture painting friends come together to breath new life into six pieces of furniture. 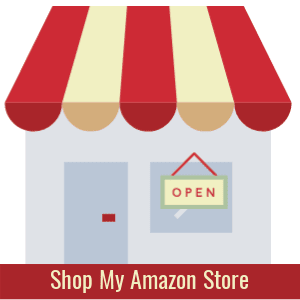 Look for the links to the makeovers at the bottom of this post. 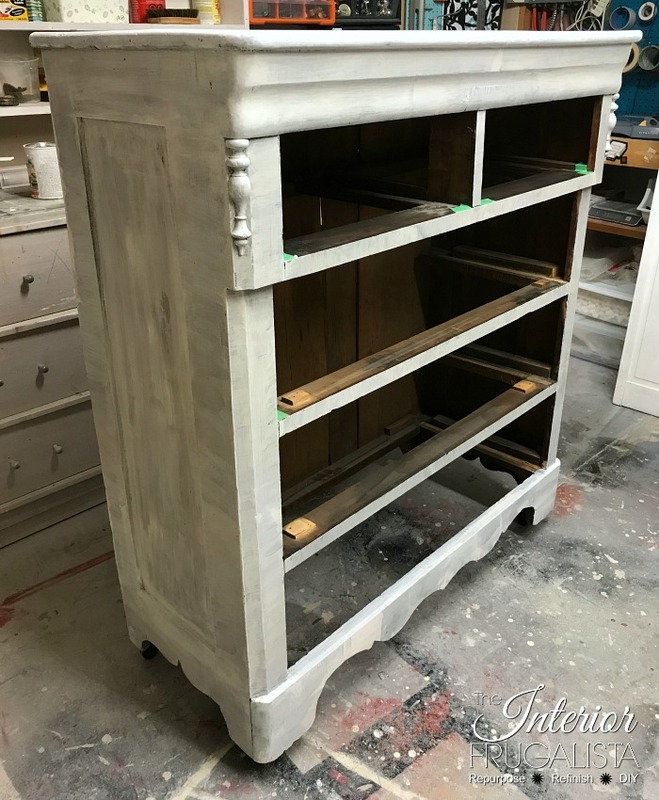 For last months challenge, I used one little napkin to completely transform an old Serpentine Dresser that had also seen it's better days. Take a look at the back of the dresser. Judging by the square nails used to attach the back my guess is it dates back to around 1840's - 1850's. 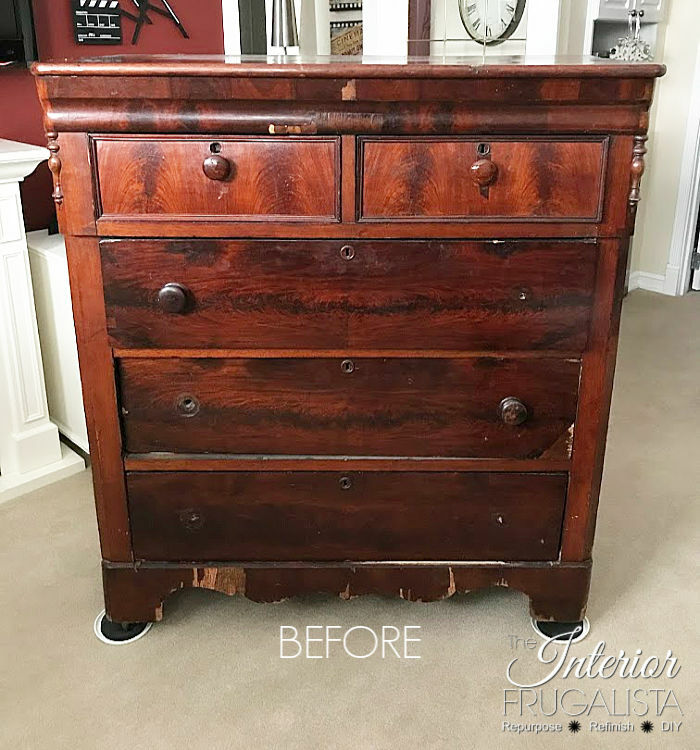 Unfortunately, there is no furniture makers stamp and I couldn't find another dresser just like it during my research. If any of you have a better idea, I'd love to hear about it in the comment section. 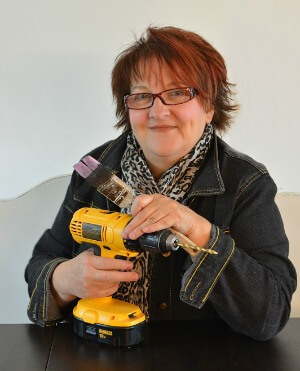 When I work on projects in the workshop I always have music blasting from my bluetooth speaker. 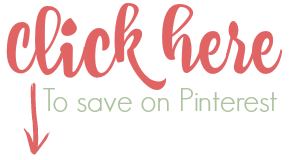 Like I said, I'm in full holiday mode over here so Holly and I enjoyed many hours listening to period music with Tchaikovsky's The Nutcracker Suite. Before we take a closer look at all the damage I want to show you some of the craftmanship. I've never worked on a piece this old before so I'm taken by all the details, like these hand carved dove tail joints on the drawers. And the wood keyhole escutcheons. 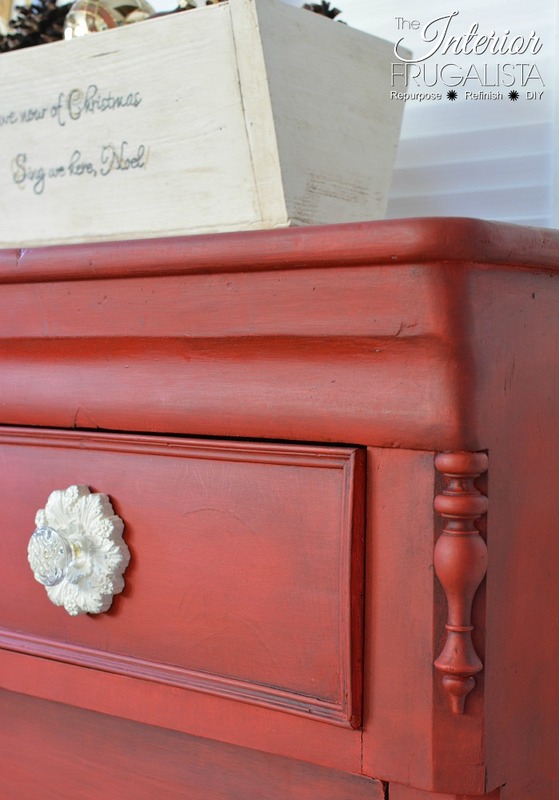 Here is a look at the top of the dresser. 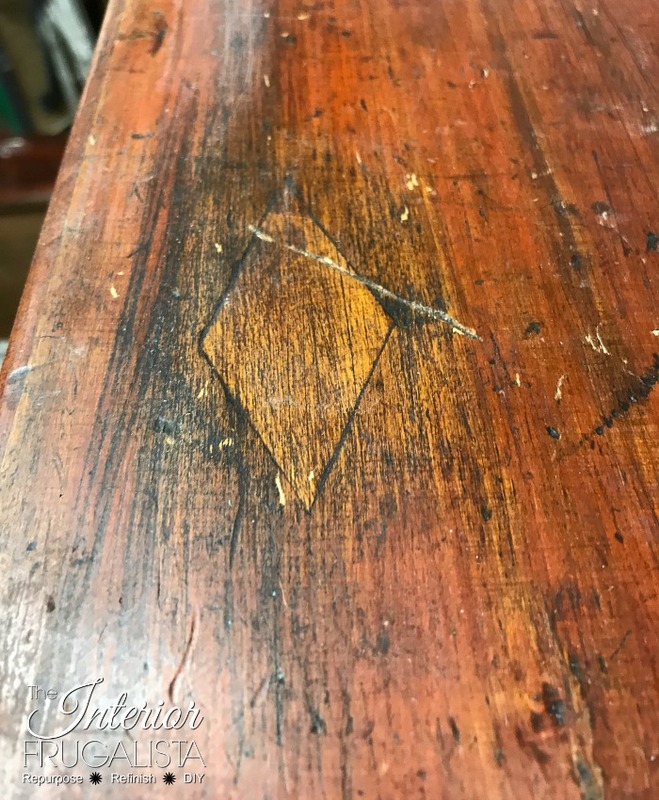 Either someone replaced damaged veneer with a diamond shaped wood inlay or this was a trademark of the furniture makers. Haven't a clue. 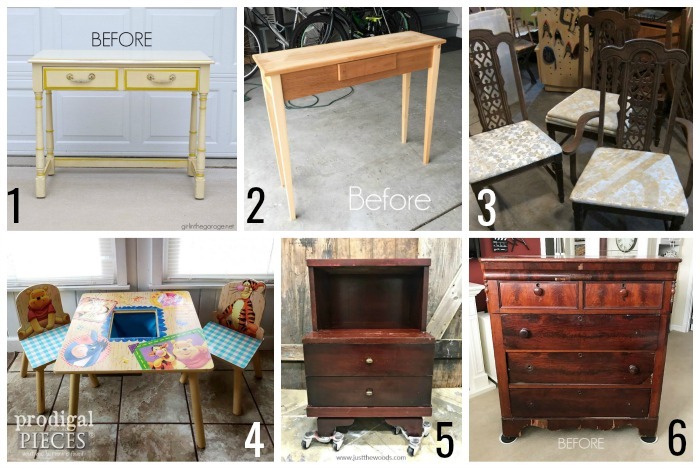 Guess how much we paid for this dresser? A whopping $26 which I think is pretty sweet considering it's age, damage and all. But she needed a lot of work starting with the two small drawers at the top. I believe, if my research is accurate, they were used for gloves. 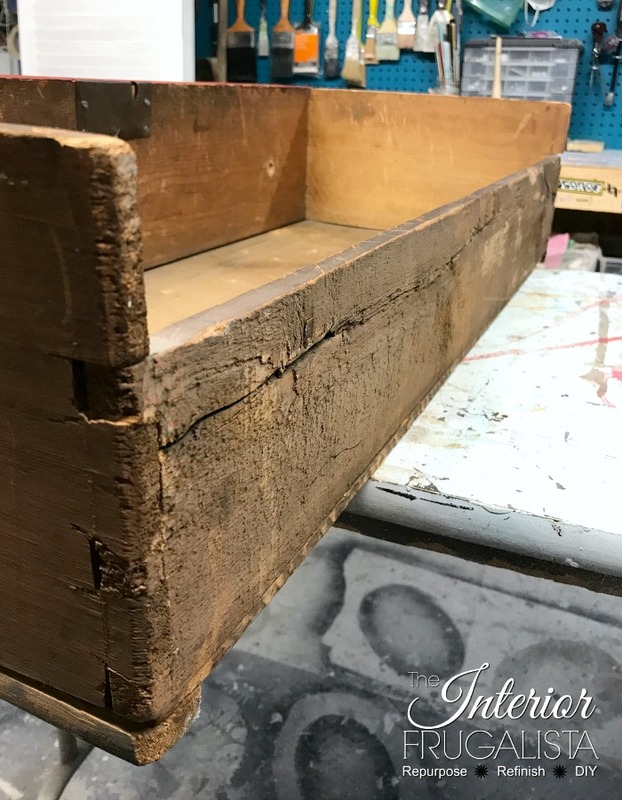 Both drawer fronts had a slight curve from buckling over time and the small trim detail was coming apart. The fronts needed to be secured to the dove tail joints as well as the trim. 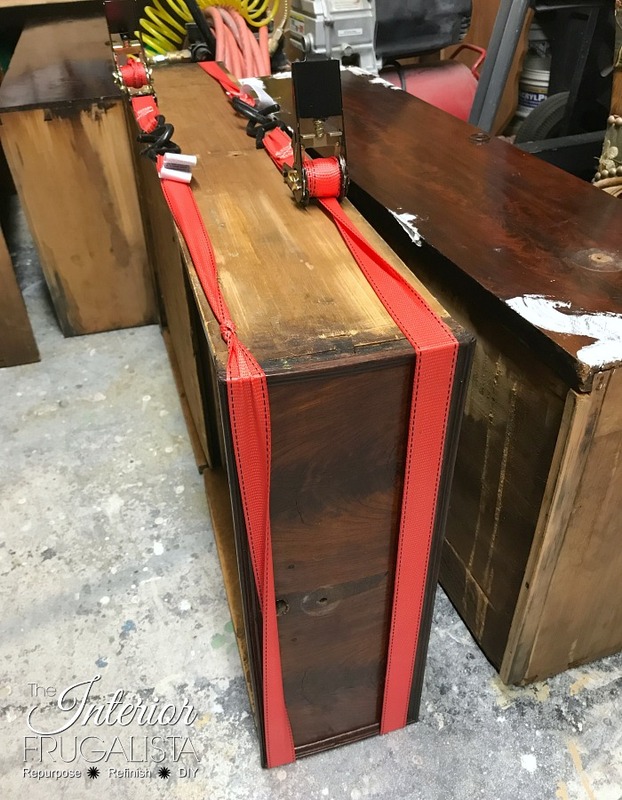 Unfortunately bar clamps couldn't be used because of the curvature and so Mr. Frugalista used furniture straps to hold everything tight while the glue cured and it worked like a charm. While that was curing it was a good time to fill all the places where there was missing veneer, like the skirting. There were a few corners both on the top and base that were pretty beat up. 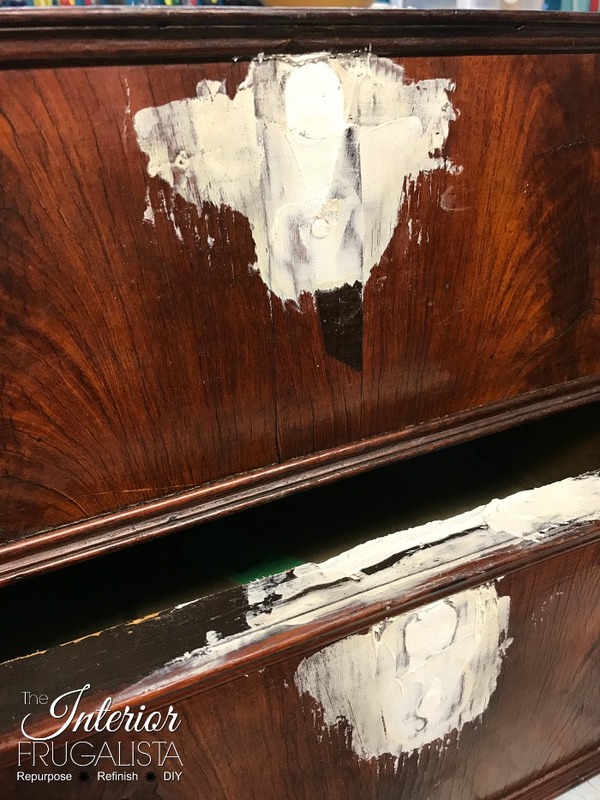 Once the glue was cured on the top drawers it was time to fill the missing keyhole escutcheons and the missing wooden knob screw holes. Time for the fun part, make her all pretty again. 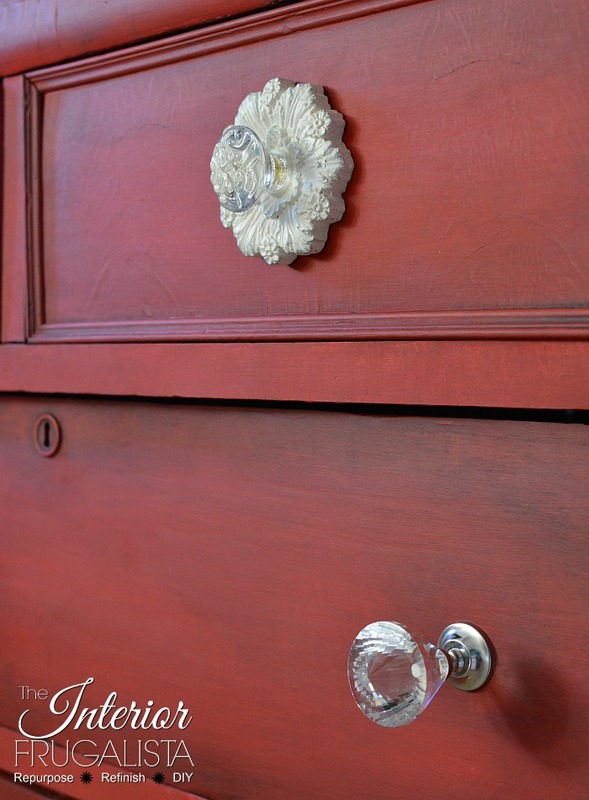 I did not feel guilty painting the dresser because it was beyond stripping and staining. I knew I would have major paint bleed if I opened the pores of the wood with a light sand so instead I primed first. 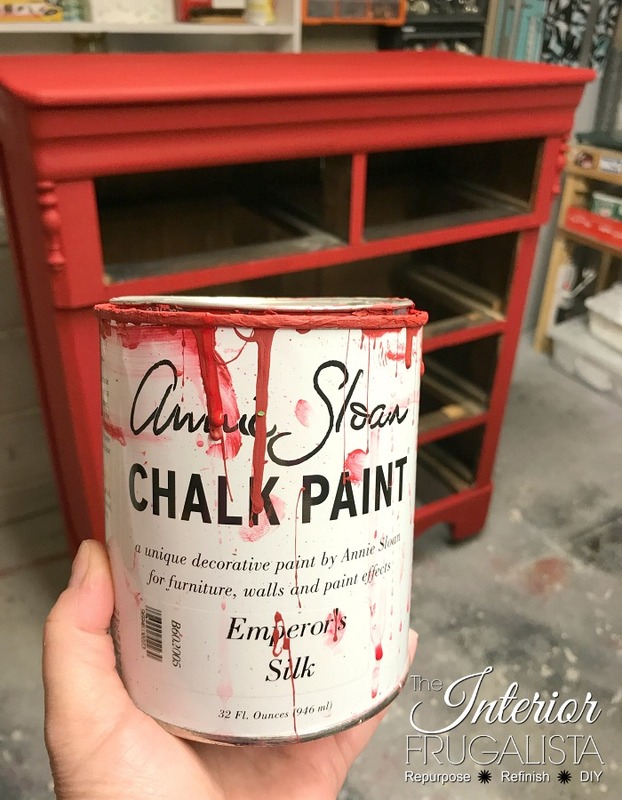 I'm on a mission to use up the paint in the workshop and I had just enough festive red Annie Sloan Emperor's Silk chalk paint left in the can to paint three coats. 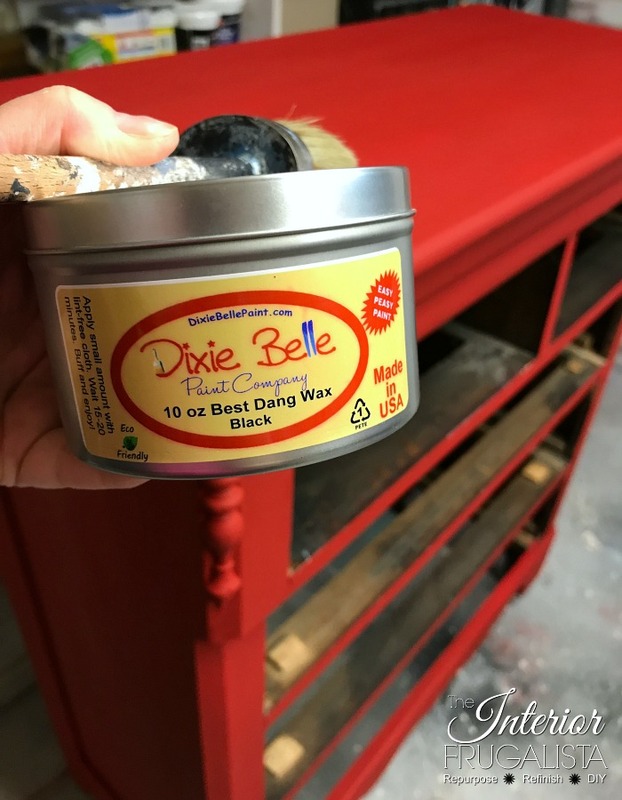 To deepen the paint color and add an aged patina I used black wax applied with a round brush. Applying more in the corners and buffing with a lint-free rag. When I added too much black wax in spots I would dab some clear wax onto my rag and rub it off. 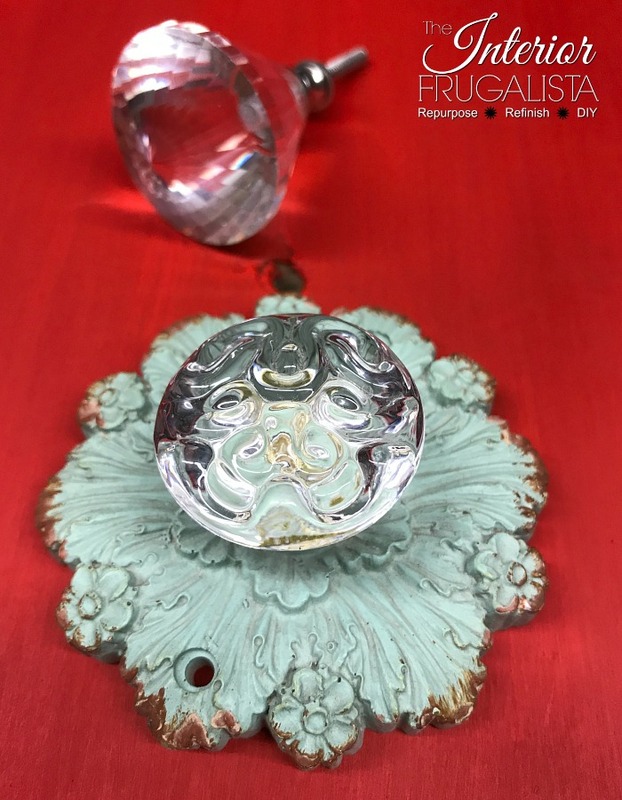 In my stash I had a set of glass knobs and two pretty ones with back plates. 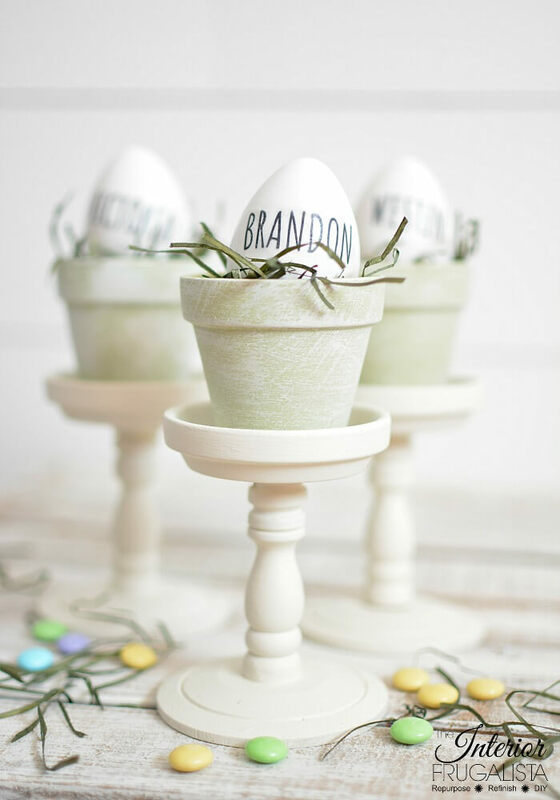 And I did something I kind of regret now - painted them white. Tell me if you think I did the right thing? It's hard to tell in the photo below but there is silver gilding wax along the outer edges. I'm not 100% certain about the glass knobs either. They remind me of old glass doorknobs. What do you think about those too? Whew, this post has been long winded. 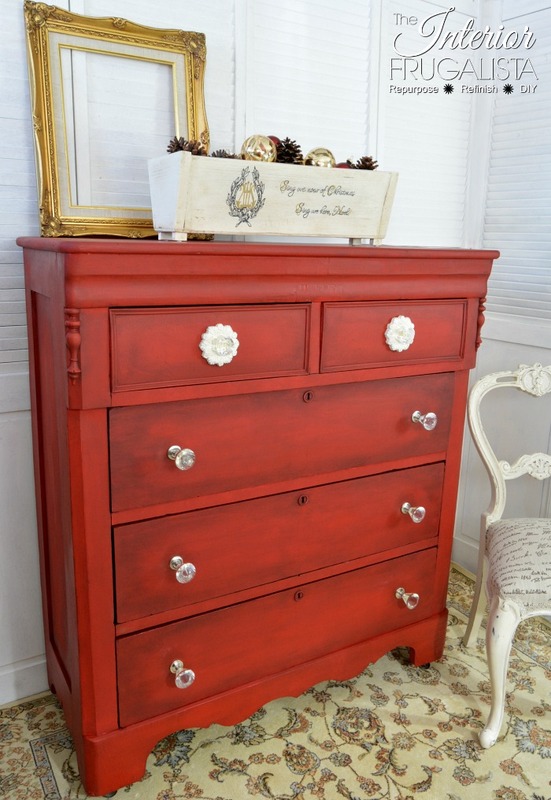 It's about time I showed you what the red holiday inspired antique dresser looks like now. 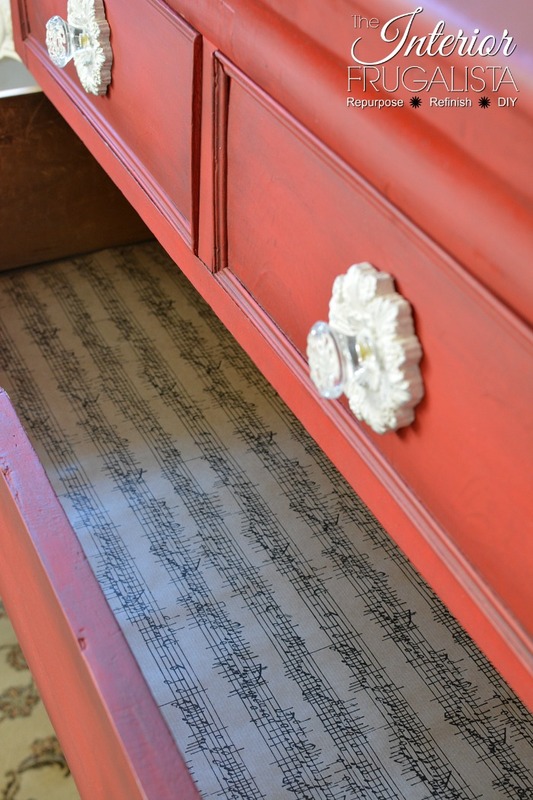 In keeping with the holiday inspiration and music enjoyed while doing the makeover, I lined the drawers with musical note wrapping paper. It's held in place with double sided tape in the corners. 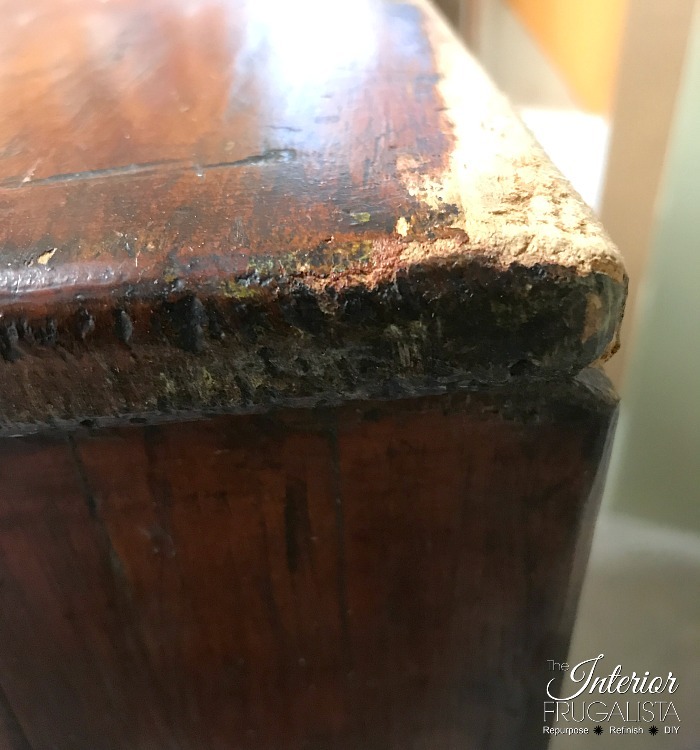 I left the inside and sides of the drawers unpainted because I think the old wood and all it's time worn dents and scratches tell a story. Did I tell you that red is my favorite color? I know I did, but just testing you. Here's some other pieces I painted red that you may like.